A peaceful, private cottage which is a great favourite due to its excellent private games room and spacious accommodation. 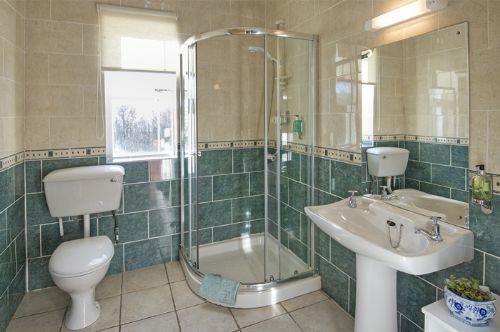 There are 2 bath/shower rooms. A fully enclosed courtyard provides safe freedom for children and dogs. In the sitting room there is a wood burner with unlimited logs. The configuration of the bedrooms provides space and privacy in two separate wings around the shared rooms. Fantastic week at Abbotsway Cottage. Highly recommend. Well looked after by Fiona. Kids (8 and 4) loved the toy cupboard! We loved the log burning stove. Beautiful grounds. Well kitted our cottage. We will be back! Greeted by a warm cottage being also comfortable and yes- a very nice cake on the kitchen table! We arrived to find not just milk and tea and coffee but wonderful lemon drizzle cake too. Needed to ask Fiona for something and she was round in a flash and all smiles. The games room was warm and a great way to spend some down time in the evenings. The rest of the evening was spent in front of the stove. Not necessary as the cottage was very cosy, but comforting nonetheless. We are so happy that we found this hidden gem for our first venture to the Scottish Borders. It was easy to find thanks to the excellent directions and a warm welcome was provided with tea, coffee and delicious lemon drizzle cake. The accommodation is well laid out, clean and modern with everything you need. 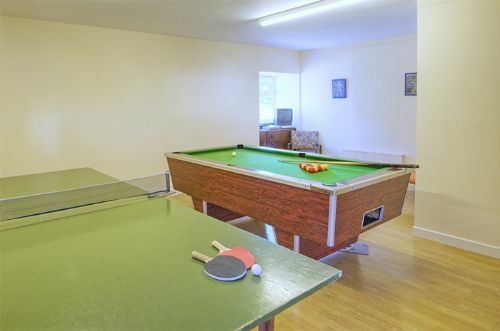 There is also a games room with pool and table tennis tables which we took advantage of most evenings. You share the estate with assorted wildlife including pheasants, rabbits and we even spotted a couple of deer. There are lovely walks down to the loch and beach although be warned it is uphill all the way back. Once again we had a wonderful stay at Abbotsway Cottage. The cottage has everything you need to enjoy and relax. From the minute you walk through the door to find a lovely home baked cake to the log burner with an endless supppy of logs. The soft furnishings are high end quality as is the excellent bedding. Our dogs thoroughly enjoyed it too. Lovely walks in the Orroland Estate and then further afield along the Solway. Cannot wait for our next visit. Enjoyed our stay here, in a very interesting and lovely location. Cottage was warm and comfortable, which was especially appreciated as we were nursing cold viruses, but we still manged to enjoy the holiday in spite of that and severe weather at one point. 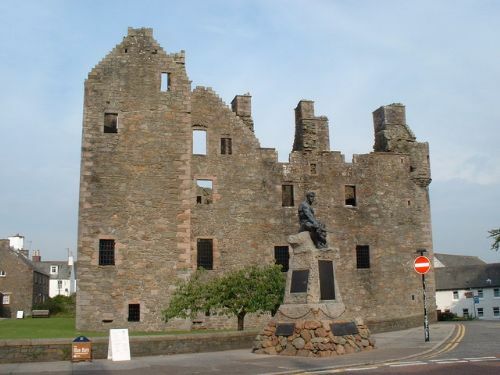 Would like to have explored more (didn't get to Wigtown, the book town), but certainly know this area much better now, visiting the art Galleries and museum at Kirkcudbright, and Balcary Bay. We will just have to have a return visit! 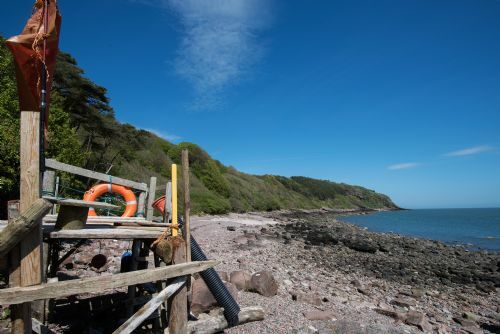 It's lovely to hear that you found the cottage warm and comfortable, as well as convenient for visiting the excellent galleries and museums of Kirkcudbright and the coastal delights of Balcary Bay, just a few miles away at Auchencairn. I'm sorry you didn't feel up to visiting the opening day of Wigtown Book Festival - there's always next year! This time we stayed in Abbotsway Cottage and it was just as nice as Cutlars Lodge . On arrival we enjoyed Fiona’s lovely homebaking as we waited on our Tesco delivery , this service is so helpful . The courtyard is a little tight to get into in the car but you soon get used to it . Our dog loved the courtyard to explore and it is really secure. Early morning walks with Flynn and we saw deer , ducks , pheasants and buzzards . In the evening we were lucky to see a barn owl on the barn roof and also bats and the very starry sky , wonderful !! Total peace and quiet , bliss . Read loads of books and explored the coastline . Stayed two weeks this time and Fiona gave the cottage a midweek clean . Great service and always with a smile and a cheery wee chat . Thanks to Bob for the wood etc . We will be back soon . Alan, Jane, thank you! What a lovely review. We're always interested to know which of the two cottages guests prefer ... both sounds good! Happy that you found the blend of convenience, friendly personal touches and inspiring scenery and wildlife a good recipe for your peaceful holiday. And a good base for exploring the coastline with your dog. We really enjoyed our 2 week break. Unfortunately the weather was very wet, but we managed to get out and about most days. The cottage itself was well equipped and comfortable with more than enough room for 4 of us and 2 dogs. Fiona was friendly and helpful, and had prepared the cottage beautifully for our arrival, with fresh flowers and home made cake. A useful basket of information is provided with local walks and ideas for things to do. Kirkcudbright and Castle Douglas worth exploring, lots of local walking although the weather prevented us from going up Screel, which we will do next time. We also did ice skating in Dumfries and alpaca trekking near Borgue (leaflet in basket). Orroland Estate itself is great to explore. Nice walk down to the beach and we all had fun trying to row on the loch. Very safe for children and dogs. Fabulous house, spotless, great location. Fiona was lovely and the cake was excellent such a nice touch!. Great attention to detail - we had a perfect stay. Enjoyable stay in a beautiful cottage and setting. Problems with plumbing which were attended to promptly when reported, but temporarily, eg toilet bunged up , bath and shower slow to empty think these problems connected . Spare toilet had a drainage smell. Kitchen utensils need a sort out who needs 4 wooden spoons? and some replacing as with pans. These did not spoil our holiday but the place is not cheap and for the price charged would have expected perfection. Beautiful grounds, perfect place for peace and quiet. THE COTTAGE WAS REALLY EXCELLENT WITH COMFY BEDS AND LOVELY FURNISHINGS. THE SURROUNDINGS WERE PEACEFUL AND PRIVATE WITH SO MUCH WILD LIFE TO SEE AND HEAR. THE FACILITIES WERE GOOD AND IT WAS WELL EQUIPPED BUT WE DID HAVE A PROBLEM WITH THE ELECTRIC HOB, TOUCH PAD SYSTEM WAS HARD TO OPERATE. DOGS DO NEED TO BE ON LEAD AS THERE ARE SHEEP, LAMBS AND COWS IN FIELDS, THERE IS AN ENCLOSED COURTYARD AT REAR FOR DOGS. THE COTTAGE WAS IMMACULATE , WARM, CLEAN AND FRESH AND FIONA WAS SO HELPFUL AND FRIENDLY, IT WAS LOVELY TO HAVE TEA AND HER HOME MADE CAKE ON ARRIVAL. WOULD RECOMMEND BUT MAYBE NOT FOR ANYONE WITH MOBILITY PROBLEMS AS THE WALKS AROUND ARE NOT LEVEL AND FAIRLY HILLY IN PLACES. THE WALK TO THE SHORE LINE IS DOWNHILL AND THERE IS NO BEACH AS SUCH, JUST ROCKS, ALTHOUGH THERE IS A BEACH HUT. ALL IN ALL A LOVELY ESCAPE. Thank you Kath for your informative review; such a help for future guests. I hope you found the instructions sheet for the halogen hob early on in your efforts with it. The rocky shoreline of Orroland Bay is very unusual with great shards of rock splintered during the formation of the Solway Firth. 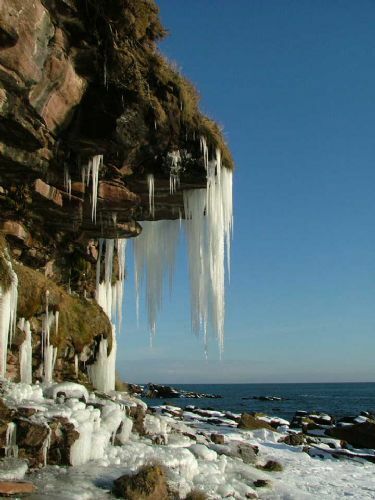 It's great for rock pooling and looking for hidden treasures and caves. There are many sandy beaches within 30 minutes drive of Orroland. Our stay at Orroland exceeded all expectations - Abbotsway was so comfortable and well equipped, we loved every minute. Every convenience and comfort provided combined with stylish and quality furnishings and linen. Set in stunning extensive grounds providing quiet and privacy, surrounded by delightful countryside and coast. Most highly recommended!! 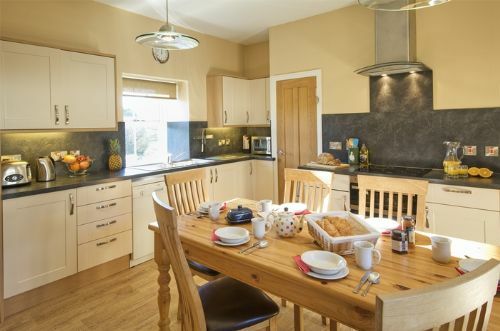 Lovely, spacious and comfortable cottage with very well equipped kitchen. Loved the decor. Quirky interesting estate grounds with a short walk to the sea. Highlights of our week included the cliff top walk at Balcary Bay and the warm welcome at the Selkirk Arms for dinner. Games room was ideal for the bad weather days. Due to unforeseen circumstance we stayed in both Abbotsway and Cutlars Lodge. Both were beautifully presented, cosy and clean with lovely outdoor space. Great for the dogs! We were extremely well taken care of by Melinda. We will definitely be back. No website does this holiday accommodation justice. Fiona the house keeper is so lovely and the cake is to very much welcomed when you arrive. This accommodation is well worth the visit calm tranquil and stunning views to see. Exceptional space and neatness, no facilities wanting,peace and quiet, safe and welcoming for dogs,privacy, personal attention, are just some of the many features of this property that made our stay so comfortable. A lovely bungalow set in an amazing estate. The cottage was spacious and warm and suited our mixed age group. We had amazing walks down to the pebble beach and the lovely weather meant we could enjoy sitting outside the beach hut. The house keeper was wonderfully helpful, can't fault the place. We have visited three times twice in Abbotsway, which we prefer. 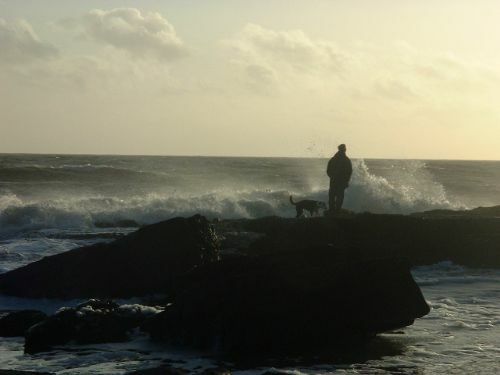 The location to the country and beach are amazing for walking the dog and getting a blast of fresh air. Thank you for making the visit so easy and we look forward to the next one. Second time at Orroland....still as good as we remembered. Cottage is spacious, warm and stylish, but in a relaxed, informal way. Kitchen has everything you need and beds are ridiculously comfortable. Welcome drinks and tasty cake was much appreciated. Games room a huge bonus, especially on rainy days (to be expected in October). The grounds are amazing for wandering and exercising the dog...we even made it down to the shore this time via a lovely stroll through woodland. Well worth the trip - the power of the sea on the rocks was amazing. Can't rate the cottage highly enough - will certainly return again. And if they ever install a hot tub, I'd never leave! Highly recommended. There are very few holiday cottages that are truly dog friendly. They claim to be but when you look further you are restricted to one or occasionally two pets. They claim to have secure gardens but when you check the photos there is a low stone wall around a rambling garden. We took our three dogs to Abbotsway Cottage at Orroland and it was perfect. The large gravelled courtyard with a small grassed area is totally secure. We have a greyhound and two terriers and all would escape if they could. There is an outhouse in the courtyard with a wooden gate where you could leave your dogs to dry off if needed. There is also a heated utility room where wets dogs could be left in more comfort. The kitchen and lounge have 'wooden' floors so no carpets to worry about. The lovely surroundings have many walks without even using your car. We enjoyed walking around the loch and going down to the rocky beach. We had lots of fun watching all the baby pheasants. The cottage itself is very well equipped with everything you would have at home. The delicious cake and pint of milk left for us on our arrival was a lovely touch. All in all a fantastic holiday in a lovely cottage. Quiet and peaceful, mostly clean and modern. All mod cons plus lovely welcome cake! WiFi not too bad (compared to other rural Scottish holidays we have had) but no mobile phone signal (thankfully!). Loved the games room. Double room smelt slightly damp, wardrobe old and musty leading to smelly clothes. Bed hot and uncomfortable for us. Would recommend new furniture in this room. Lovely sunny aspect to sitting room but window seat cushion faded, stained and ripped. Would have expected better for the price paid. A few minor issues mentioned to housekeeper at end of stay (kettle not switching off, broken washing line, blender not working) so hopefully these will be rectified for other guests. We were thrilled to have a swallows nest with (very large) chicks in the alcove next to the door - an unexpected surprise for the end of August! Overall, we had a wonderful week and look forward to returning to the area in the future. This was our second holiday at Orroland and we were not disappointed. Fiona was exactly the same....great! The cottage was perfect and the weather was kind. We would recommend to others, but reluctantly as we want to keep it our secret and we will return. The Baldwin family. Thanks for everything Fiona, never got a look in at the lovely cake as our grandsons ate it all. Fiona and the Kennedy family gave us a very warm welcome at Abbotsway Cottage. The location was so quiet and peaceful, and we so enjoyed walking through the wildflowers and down to the sea shore. This was our first visit to Dumfries and Galloway and I am sure we will return. Very comfortable and very well equipped cottage, with lovely upgraded bathrooms. Great to share with friends, as we did, as the sleeping accommodation is in either end of the cottage, with lounge and kitchen in between, so everyone has privacy. Plenty to see and do in the area. Would certainly return to Abbotsway again. We were delighted with Abbotsway Cottage which was very well appointed and the owners seem to have thought of everything in terms of comfort, facilities, equipment etc. 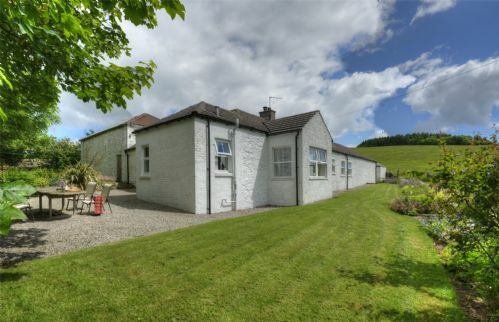 The location was exceptional, private, very quiet yet within easy reach of the pretty town of Kircudbright. The shoreline was within walking distance of the cottage and there was a lovely wild flower meadow en route to the shoreline. The area around Abbotsway provided lots of beautiful walks around the coastline with very attractive bays and amazing scenery. Kippford and Rockcliffe are two of the prettiest. 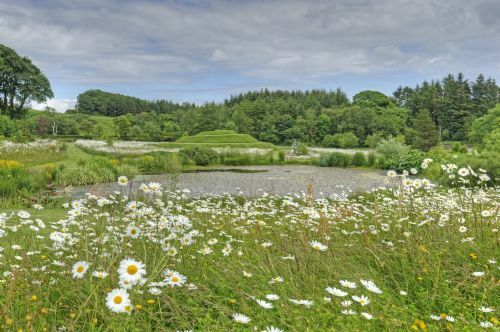 Threave Garden and the garden at Broughton House were beautifully laid out and our visit to Threave provided us with the opportunity to see Osprey and Peregrine Falcons plus chicks! 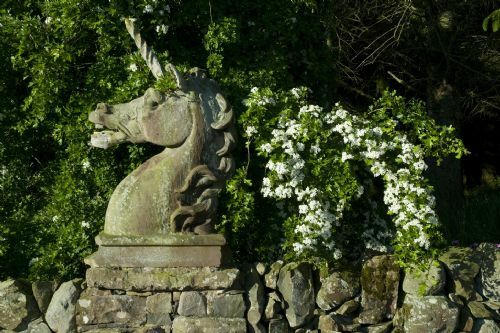 Dumfries House is also an incredible place to visit and we highly recommend it. Finally, the care shown by the owners to make sure of the best possible holiday for guests was evident in lots of ways at Abbotsway, for example in the comfy beds, fresh flowers on arrival. Fresh milk in the fridge and a gorgeous cake was a welcome touch. Who would not appreciate tea and cake after a long journey. We were given a warm welcome by the Housekeeper Fiona who also came to say goodbye the day before we left. How kind of Melinda the owner and Fiona to leave a birthday card for my husband, knowing it was his 60th birthday whilst we were staying at Orroland. 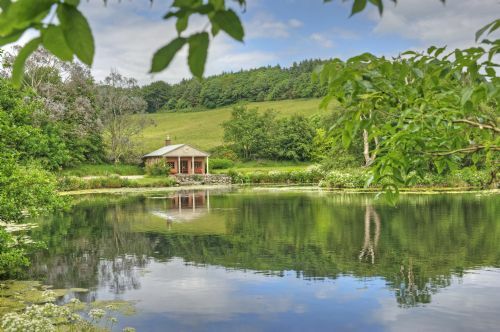 If you enjoy peace, tranquility, stunning scenery and wildlife and an exceptional cottage, then Orroland is the place for a perfect holiday. Had a wonderful one week holiday at Abbotsway. Loved the quiet location and beautiful surroundings. Cottage itself was perfect for our family of five with the kids enjoying space on one side and adults in the other. The games room also provided additional space for the kids to enjoy independently. Hosts were very friendly, helpful and ensured booking procedure was clear and simple. Would love to return for another holiday. This property was very clean, comfortable and well presented. Staff very friendly and customer service excellent. Enjoyed the walks around the estate and beach. We very much enjoyed our stay at Abbottsway. We hired out the property for family to stay in for the week of our wedding at Orroland Lodge, however we have stayed at the property ourselves a number of times. Its perfect for families, and worked particularly well for our energetic family who used it which included children who could make the longer walk between the house and beach. Its a fantastic place for those who enjoy nature and walking, or those who just want to sit outside/in front of the fire with a good book, and its extremely private. Our family were extremely impressed with the modern facilies inside and the vast private grounds to explre. Everyone loved the cake and found it perfectly clean. Lucie, it's so good of you to provide such an informative insider's view of Abbotsway Cottage and how it worked for your family to have all three properties for your beautiful wedding. Thank you. Another fabulous Christmas at Abbotsway Cottage, a perfect getaway with everything you need for your stay and more! Would highly recommend a stay at Orroland. Dear Ben and Suzanne, thank you for your excellent review. I'm so glad you had a happy time at Abbotsway. Great that you set off on exploratory walks with Lady to get the best of the views and scenery. Thank you for leaving the cottage so well; did you actually polish the sink?! Some kind of prize needed for that. Beautiful Cottage, Beautiful Location, Perfect. Stayed with my wife and 2 dogs, Lovely cake on arrival could not have been better. We are so pleased you enjoyed your week at Abbotsway Cottage and what glorious weather you had too for all your walks. Abbotsway Cottage is a real gem. 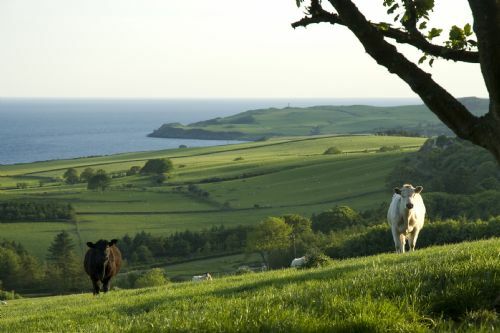 It is in a tucked away position with views out to fields, wildlife and the Solway coast. The cottage is very comfortable and well equipped. Lots of attention to detail like the delicious cake on arrival and even an outside tap and hose to wash off the dog after a day on the beach. The grounds of the estate are beautifully cared for and the private beach is a real bonus. The hosts are warm and welcoming but without being intrusive. We will be back as there is plenty to explore and enjoy! Only critical point, family room smelt a little damp. But will not stop us returning next year. Only suggestion would be to look at smell of damp in family room. Games room tv did not work. Only small point to improve. But on the whole loved it and are now looking at dates for next year. Just returned from a week away in Abbotsway Cottage, one of the three properties at Orroland. Cottage was wonderful - Fiona gave us a warm welcome (and a lovely cake) and the property was clean and modern, whilst retaining character. The location was so peaceful. Pheasants, bunnies and a variety of birds were seen just outside the property, together with a field full of cows just across the path. Quite amusing to see them all staring at you together! Cottage itself was warm and cosy, with a secure courtyard, so we knew our dog was safe, and a private games room with pool table and table tennis to keep our young teens and my other half amused. 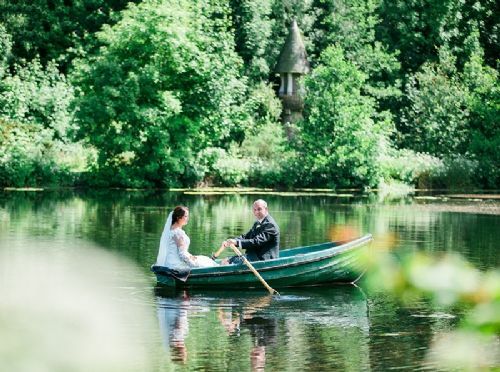 A short walk takes you down to the landscaped grounds st Orroland, where you can take a little ride on the rowing boat on their small lake (life jackets provided), and if you care to walk further down the hill, you'll reach a private pebbly peach with a beach hut you can use. Great views from the beach and most of the estate in general. All in all a great place and a wonderful area to escape the hustle and bustle of urban life - not a traffic jam in sight. The hilarious young cattle across from sitting room, bunnies and birds a plenty in the garden make you feel you are really in the country. Nice to see the changes in the grounds since our last stay but remaining low key. We will be back and certainly recommend a stay to our friends and family. Thank you for making our stay so welcoming and the cottage home from home. We had a relaxed and truly enjoyable stay at Abbotsway. The estate was a joy to see and so loved that it showed. The cottage was in an idylic situation with wildlife and complete peace with plenty of places to visit if desired. The website was so detailed that we did not need any other info. I was impressed. Our thanks to all concerned. Orroland is absolutely perfect. The cottage was spacious, clean, comfortable and warm, with luxurious bathrooms and a modern, well stocked kitchen. We spent so much time in the games room playing pool and table tennis - what a bonus on a wet afternoon. The location itself was just brilliant, with gorgeous grounds to roam in, plenty of space for letting the dog run off energy and so tranquil that you couldn't help relaxing. The welcome was so friendly and helpful and the gorgeous cake on arrival was such a lovely touch. Having stayed in several luxury self catering holiday properties, my son says Orroland is by far the best. We will certainly return. We had a fantastic week at Abbotsway Cottage. The cottage is excellently presented and equipped and the Orroland estate makes for a perfect location. There is plenty to explore in the surrounding area and seeing Ospreys at Threave and Red Kites at Laurieston was a real treat. We spent the second week of Easter staying in Orroland in the Abbottsford Cottage. There were seven of us (four adults and three children) and there was plenty of room for all of us. Being on one level, it was quite suitable for my wife who has to use a wheelchair.. The cottage is very comfortable and very well equipped and in a very safe and secluded area. We enjoyed exploring the grounds, boating on the big pond and venturing down to the beach. Driving around the Dumfries region was a pleasure as the roads are so quiet..
We're pleased Abbotsway met all your needs. It was lovely to meet you all and to see the children enjoying themselves and having adventures around Orroland. Thank you for sharing pictures of your family fun and it was good to see you made use of the boat on the loch. 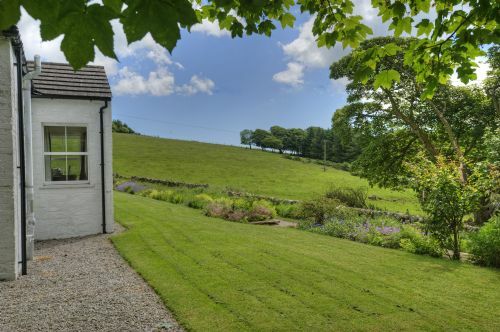 A lovely cottage in an ideal location with some good walks fairly close by. Many thanks to Fiona for making sure everything was just perfect on our arrival. It was Easter when there, but thought it a bit pricey! Spent an excellent weekend with another couple at Abbotsway Lodge. The Lodge was very spacious and spotlessly clean. We arrived to find the lodge warm and welcoming .Heating had been turned on prior to our arrival ,fresh flowers in a vase and a wonderful cake was left for us to enjoy - these little touches alone take the lodge to excellent. Everything had been thought about even down to a cupboard full of board games for any children visiting, and for the bigger "kids" a games room with pool table and table tennis . We would thoroughly recommend a visit. A lovely relaxing week in a well appointed cottage. A warm welcome,log fires, excellent games room and beautiful grounds leading to the beach. Excellent. Richard, many thanks for your super review. We love welcoming you back each year. I hope you liked the new decor in the double and single rooms and enjoyed the comfort of the new beds in the family room. New gutters next ... how glamorous! Lovely surroundings and comfortable cottage- great for dogs with the courtyard for them to run around in. Games room added bonus. Lots of beautiful beaches to explore. Thank you for choosing Orroland for your New Year break. It's a shame life's commitments didn't enable you to enjoy the full week but I'm glad you found the abundant walking opportunities followed by log fires in the evenings reviving. Lovely family friendly cottage,load,s of toy,s,books,games,for children,games room a nice bonus,situated on a beautiful plot,great view,s out of the bay window,watching bird,s, wildlife.Intresting walks around the estate,woodland,beach,loch,would definitely return and recommend to friend,s,family especially with children,we have stayed in many self catering,cottages and Abbotsway is by far the most family friendly. We had a wonderful long weekend at Abbotsway. The cottage was just right for our family and the surrounding Orroland Estate was stunning (we were blessed with great weather to enjoy it - and the games room was ideal for the one time it did rain). We will definitely return - our only dilemma will be whether to book this cottage or one of the others at Orroland. We stayed for two weeks in Oct and could not have wished for a nicer place to stay, quiet, relaxing and loads of wildlife. This is is the first time we have stayed in this part of scotland. The local people were friendly and we and the dogs enjoyed this restful place with its fine views and beautiful starscapes. We will be back thank you. A wonderful cottage warm and clean with a fantastic kitchen and bathroom. 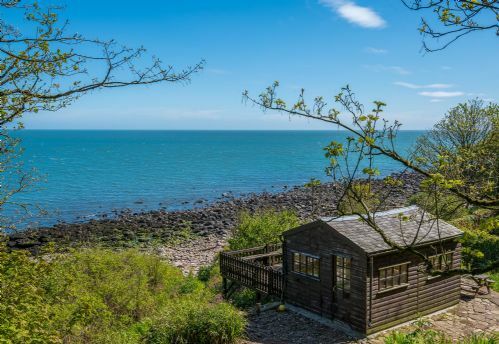 Although only the two of us and our dog we found Orroland estate charming with its duck pond and pavilion and access to the sea with a small private garden. Fantastic place for families ,couples or people with dogs. 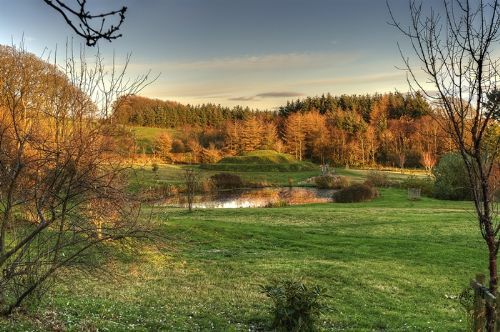 Stunning scenery, a quiet retreat, a central base for day tripping, lovely cakes, excellent accommodation in every way thinkable, a haven for escapism with our beautiful 3 Chow Chows, then Orroland is actually the best place not only in the UK but worldwide, which meets all our fussy needs. We come as often as is physically possible and there is always something new to discover. The owners and staff are lovely, astute, approachable and their hospitality is second to none. They keep their distance to allow you privacy, yet are always on call if you ever need anything and they always listen. How good is all that in our busy lifestyles in this manic world we all live in!!! And every time we visit the sun always shines! We are now trying to compete with those visitors who have visited more frequently than ourselves for the Number 1 spot, and a badge ha ha!!! This is a lovely cottage in beautiful surroundings. It is very well equipped and very clean. The highlight for us was making our own barbecue down on the beach from all the driftwood lying around. The beach is probably about a mile away from Abbotsway Cottage where we were staying, but you can drive down the road, park reasonably close and walk the rest of the way. All in all would highly recommend our holiday and accommodation and would happily return there again in the future. We had a wonderful relaxing stay at Abbotsway Cottage. It is fitted out to a high standard and was ideal for catering for our two large dogs. The courtyard was secure for them to play in and stair gates were available on request. The gardens and walking area around the lakes were well kept. We could not find fault in any way and will go back again. The location is ideally located to visit the region and surrounding towns. Thank you for your review and an extra thank you for leaving Abbotsway SO immaculately after your stay; it was greatly appreciated. It was lovely to meet you and your fine dogs; I can see why they do well at competitions! 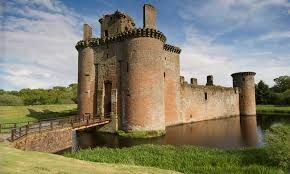 I'm happy that you found our dog-friendly measures worked well for you and that you made the most of Orroland's central location for exploring Dumfries & Galloway. This was our first visit to Orroland. Two couples with two dogs. What a fantastic cottage in beautiful grounds. Fiona and Bob could not do enough for us even thought we were not demanding of their time. The facilities at the cottage were excellent. The perfect accommodation for a week away from it all. beautiful cottage, wonderful estate, fantastic secluded location, extremely nice people. Couldn't have asked for better, very dog friendly, will return!!! The first time we have taken all three dogs away with us and it couldn’t have been better. The cottage is perfect and the whole weekend has been very relaxing for us all. Weather has been lovely even though the forecast was for rain, rain, rain. Only wish our stay was longer, I’m sure we’ll be back! We were two adult couples sharing the accommodation so to have the two bathrooms was really great. The enclosed courtyard was ideal for the dogs, lots of places to explore and have fun in. The cottage was equipped to a high standard, the beds were very comfortable, there was always plenty of hot water and the cottage was always warm. Tea and a lovely home-made cake was left out on the table for our arrival. There were lots of locals guides, restaurant menus and local o.s. maps for us to use plus Melinda and Fiona were about to ask for good walks and lovely beaches to visit with the dogs. 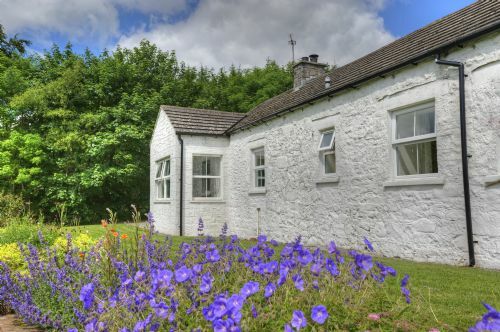 Had a lovely stay at this well maintained and clean cottage, excellent facilities, beautifully furnished and In a lovely quiet peaceful and secluded setting. Pleasant walks down to the beach and round the Loch. It was an excellent choice to stay with our dogs as there was a practical utility room and outdoor kennel, plus a properly enclosed courtyard which made cleaning and drying easy. There was a delicious homemade cake and tea was set out for our arrival, Melinda was very welcoming and gave excellent advice about local eateries, shopping and walks.The area has some unspoilt towns with good shopping choices, and so many walks that it was difficult to choose which to do first. Thank you for our great holiday, we would love to return sometime. Thank you for your super review; it was a joy to read and such a help for future guests that you have provided details of the things you appreciated and how dog-friendly you found Abbotsway Cottage to be. I'm so pleased your first visit to Dumfries & Galloway has been such a good experience; thank you for choosing Orroland. Looked forward to our return visit to Abbotsway and it didn't disappoint, we arrived on Saturday to a well prepared home, everything you would expect to have at home is there ready to use, the cake which didn't last the night I might add was mm. The log fire is so warm the the back door had to be left open which our Irish and Welsh terriers loved. The weather was mostly good considering it was late February and the walks with the dogs on the estate and beach were brilliant. 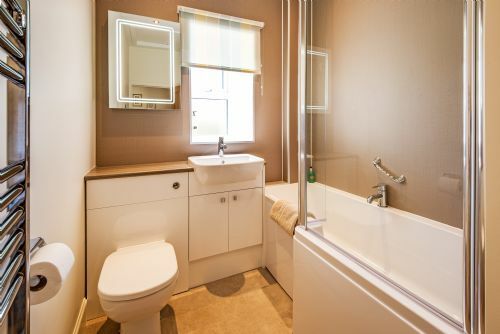 The new bathroom at the top of the house has been finished to a high standard and with the addition of new beds make this the ideal comfortable holiday home either in summer or winter. Thank you once again for a fantastic holiday in Orroland. The cottage as ever is wonderful. Love the new bathroom and had wonderful restful sleeps in the new beds. We can highly recommend Griersons the butchers in Castle Douglas. It was lovely to see you again Melinda. See you next year for visit No. 9. Everyone wants to come back including all our teenagers! Thank you so much for a fantastic stay at Abbotsway Cottage. We have been to many cottages, but this cottage has been by far the best. We both have very busy jobs and looked forward to some peace & quiet and that is exactly what we got. The games room was enjoyed by my son and the rest of the family (was nice to get some quality family time). The dogs also had a great time at the beach and back at the cottage where it was safe for them to roam around the courtyard. We have to give this cottage a 10/10, so much so we have booked again for the summer. Thank you again for a lovely break and a very welcoming arrival. See you in June 2015! What a lovely review; thank you for choosing Abbotsway, for loving Orroland and for booking to come back for more family fun in the summer. You've picked a great month; Orroland is magic in June. Best wishes, Melinda. We stayed here in January and so didn't expect good weather but we got snow, frosty mornings, sunny days and clear nights which made our stay at Orroland even more special as I expect they don't get snow too often on the coast here! The cottage is well equipped, comfortable, warm and tastefully decorated. Miranda allowed us to bring four dogs and she was also flexible with our start day which meant we could stay for the week, she even kindly told us that as there was no booking after us, there was no rush for us to leave on our departure day. The estate is beautiful and we enjoyed sundowners both in the summerhouse and the beach hut! We enjoyed the privacy of no near neighbours at Abbotsway and the courtyard which was great for the dogs first thing in the morning and last thing at night in the dark as it is secure. Delighted you found Orroland a good base for your dog-friendly relaxation and gentle exploration. Happy to hear you made the most of our follies! Fiona is the queen of cakes. Do come back - maybe in mid-May when the bluebells are astonishing and the landscape is so vibrant. 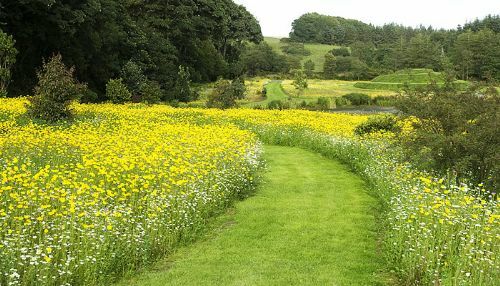 Or in July when the wildflower meadow is at its beautiful best. Yet another fabulous Christmas at Orroland, Abbotsway is always warm and welcoming, with wine and mince pies waiting for us and a lovely hamper of Christmas goodies from Melinda. The wood burner kept us toastie on the cold evenings and the new settee is lovely and comfortable. Even my two sons (ages 23 and 20) enjoy Christmas at Orroland!! Definitely won't be our last visit. Booked for mums special birthday, and more than pleasantly surprised with the cottage. Beautifully presented and in a lovely location there was nothing to fault and the whole family had a wonderful weekend. I have no hesitation in recommending this cottGe to you and have no doubt we will return. My family and I stayed at Abbotsway Cottage in November 2014 for my mother's and husband's birthdays. The cottage was in a glorious setting and was so cosy, peaceful and private. Everything was spotless and we had all the kitchen facilities we needed to make a lovely meal. We were even greeted with a delicious cake and coffee on arrival. We hope to return again soon, and would definitely recommend Orroland and especially Abbotsway Cottage to families and those wanting a stylish retreat. Thank you very much for your excellent review. We are so pleased you chose to stay at Orroland to celebrate your mother’s and husband’s birthdays. Being able to enjoy the tranquility of the cottage and the estate, how relaxing for the whole family. We hope to see you again very soon, possibly for yours and your father’s birthdays?! Location is excellent for a quiet break away with the dogs. Plenty walks for the dogs. Cottage has absolutely everything you could need would vidit again. Brenda, thank you for taking the time to review your stay at Abbotsway. Glad you found it a good holiday for dogs as well as yourselves and that you felt the cottage was well equipped and homely for a relaxing break. Hopefully you'll be able to stay longer next time. 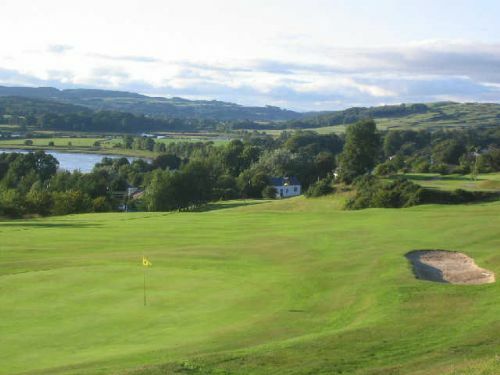 Orroland Estate is beautiful with lots of walks and use of the Pavilion on the loch and the Beach Hut. A very romantic place to be. The cottage was well equipped, comfortable and warm. The Games Room was an added bonus for teenagers in the party. Only short 10 min drive into Kirkcudbright meant you were still within reasonable distance for local amenities. Would recommend this holiday to folk who enjoy having freedom and space in a countryside setting. Abbotsway Cottage is a place to recharge your batteries. Location is fantastic as you can find so much to do on your door step or just wonder the grounds. Wildlife in abundance, dolphins, deer, hares bats and owls. For star gazers the light free nights are fab. The cottage is a home from home. A comfortable lounge with a wonderful log fire to dream away the evenings. A great house keeping team if required. This is our third trip and not our last. Beautiful place, extremely peaceful. Fiona & Rob couldn't have done more for us. I have never been anywhere in the world where all the people in the surrounding area were so pleasant. Walking around the private estate with our dogs was amazing, with memories we will never forget. Hello, it was good to speak just now and thank you for your review. I'm so pleased you found the people in the area so welcoming and friendly and that you have taken the time to praise Bob and Fiona; we couldn't do without them. Lovely that you made such good use of the gardens and grounds with your family and dogs. It was lovely to return after 40 years to discover the peaceful safe environment is still here.The transformation from working farm to its current beautiful haven is down to the hard work and vision of the Kennedy family.This well equipped holiday home is all you could wish for,with very helpful hosts and a scrummy lemon cake on arrival. We made the most of the extensive grounds/estate,with pretty wild flower meadow, the tump,the pond,the loch and shore.Careful planting and beautiful flower beds,including the fern garden are the result of much care and attention.A charity garden opening was scheduled for Sunday 6th July and the garden looked spectacular.Our stay was enhanced by the generosity of our hosts and the sunny weather.We plan to return before another 40 years have elapsed.Look at the photos on the Orroland website,it really is as good as it looks. Our holiday was also enjoyed by our 21 and 19 year old daughters and the games room is an added bonus. We had a fabulous time at Abbotsway Cottage. The cottage was very clean, well equipped and ideally placed on the estate. Having our own driveway and courtyard ensured total privacy. Our only neighbours were cows and rabbits in the field opposite. We enjoyed many walks from the doorstep and having the seashore to ourselves was a real treat. The sea views were amazing, the wildlife was incredible and the weather was superb. We would love to return again, (our previous visit was 12 years ago) so hopefully it will not be a 12 year wait for the next time! Thank you for such an amazing review of your stay at Abbotsway Cottage. Being able to complete so many walks from the doorstep is a real bonus when you have had such a long drive to get here! Having the seashore to yourself, discovering the secret hideaways and waterfalls, what an adventure. 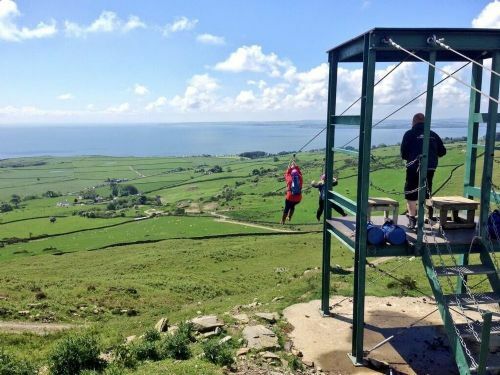 We hope to see you soon and hopefully, you can bring the glorious weather with you again. Very Clean and well equipped cottage. Location great. Plenty of wildlife. Grounds excellent. Highly recommend. Thank you SO much for your wonderful review. I'm so glad you enjoyed staying at Abbotsway and that you were able to join in on your friends' annual holiday at Orroland. What is it now, 9 years running?! I think you had the best of Great Britain's weather too. The cottage is in a stunningly beautiful location and was warm, spacious and comfortable. We particularly liked the bay window with the round table overlooking the fields and trees. Although nearly all was either good or excellent there were a few areas that could have been a bit cleaner ie kitchen cupboards and pans. The games room was very dusty. I chose this cottage because I need level access for a wheelchair/scooter and a bathroom with bath. The entrance was a bit of a problem for me with 2 smallish steps to negotiate. A ramped entrance to the utility area would help greatly. Otherwise the cottage was ideal for my needs and I would love to stay there again. Everything that we wanted in a holiday cottage. A warm welcome, comfortable cottage and in beautiful surroundings. What better place to relax. Great hospitality. What a great review of your stay at Abbotsway Cottage. I'm thrilled you found Orroland such a welcoming and peaceful place to stay for your spring bird watching break. I was so pleased that you were able to spot our resident partridge wandering the estate and able to tick them off your list of birds to find. As you have seen, Orroland is thriving with feathered friends from pheasant and partridge to buzzards, owls and a kestrel. 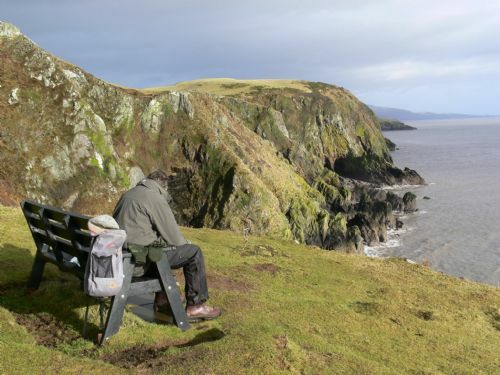 It was lovely to hear that you were able to visit some of the beautiful areas that Dumfries and Galloway has to offer and spotted the red kites in their natural habitat. Thank you for leaving the cottage so immaculately on your departure, we really appreciate it. A warm welcome awaits here at Orroland if you choose to come and stay again. We booked this property at the very last minute - and had expected when choosing somewhere to have to make some compromises. However, this was not the case with Abbotsway Cottage. It was perfect for us in every way. The care and attention was superb and we will be highly recommending and making every effort to return there ourselves. We have stayed in many cottages - this one will be hard to beat. The cottage and surroundings provided us with the relaxation we needed. Thank you very much. It was lovely to meet you all and thank you for such a good review of Abbotsway Cottage. I am really pleased you were happy with the house (including well stocked toy cupboard for the children!) and your choice of a self-catering cottage instead of a caravan site. As you have discovered, this is the perfect place for a relaxing break with plenty of peace, quiet and space for children to run and play. 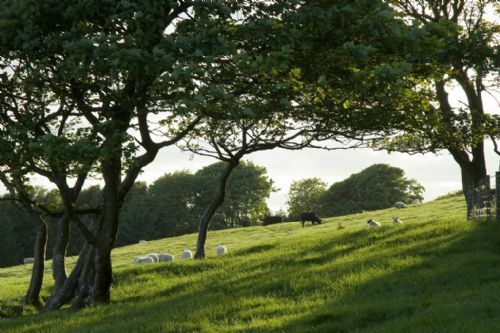 II was happy to hear that you enjoyed your walk around our quiet country lanes and were able to appreciate the beautiful scenery we have here at Orroland. Thank you for leaving the cottage so clean and tidy on your departure, we really appreciate it. With best wishes and hopes to see you again soon, Sheryl. After a long journey to Orroland we were very happy to find the cottage was very well presented. It was very clean and had all the little extras that you rarely get when self catering. The cake and tea / coffee was a very nice touch. Abbotsway Advocates - The Chow Chows!! Another week of Paradise at the beautiful Abbotsway Cottage. 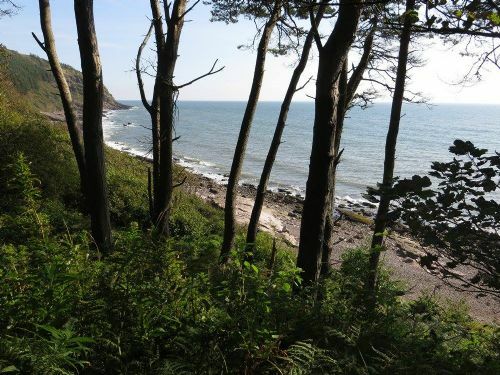 So peaceful and tranquil, a wonderful walk to the private beach, warm and inviting accommodation, owned by a lovely family, who strive to please. It must be noted we offered some minor tweak recommendations during our last visit and all have been implemented beautifully - WOW. One would rarely find such positive aspects in everyway imaginable, anywhere in the UK, dog friendly or non dog friendly. The Chow Chows love it...back in September, and seriously want to come 3 times a year now instead of 2!! Thank you so much for a 10 out of 10 holiday. Thank you for your absolutely lovely review. Paradise no less! I'm so glad you have found your ideal home-from-home at Abbotsway. I imagine you'll be feeling invigorated after all those wonderful walks and plenty of fresh sea air. Delighted to hear that your dogs love Orroland too! Please do come three times a year, that would be terrific. It's our 8th Visit to Orroland and we have booked for next year again- What more can I say! Thank you for your lovely review. 9 half-term holidays at Orroland is surely the best 'review' there is! I'm glad the new sofa and armchairs were so comfortable that even the teenagers noticed! That's praise indeed. I wonder if they used the games room or the Wi-Fi more?! Great that you brought your bikes and headed off to the 7Stanes mountain biking trails at Dalbeattie. 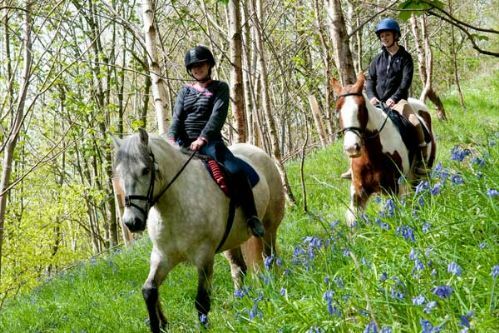 The trails provide such a good year-round activity for our guests; many bring kids bikes and hire adult bikes in Dalbeattie. Thank you for booking again for next year. We arrived after dark, cottage lights and heating were on, the fire had been laid in the log stove and a home made chocolate cake placed on the table, milk in the fridge, what an excellent start! My husband and I spent a most enjoyable four nights in this delightful comfortable cottage. 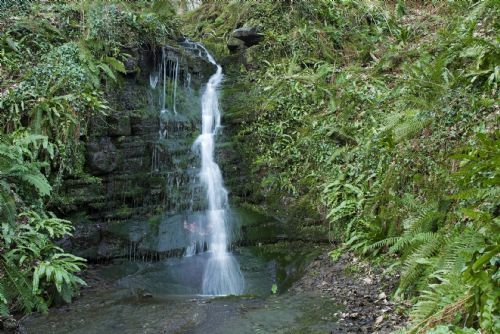 Its peaceful location, in Orroland, a short walk from the coast is beautiful. Wi fi signal is excellent. We hope to return again. The owner and I share the same Christian name - this isn't nepotism, we're not related. Thank you so much for your amazing feedback! I'm so glad you found Abbotsway welcoming and cosy when you arrived and that you enjoyed the cake. 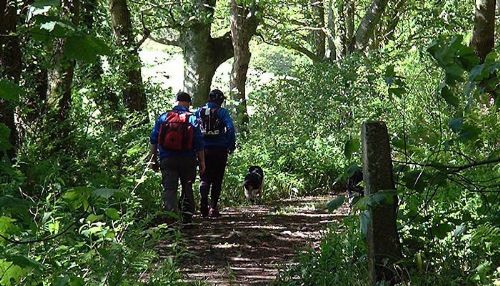 It's great to hear that you found the cottage comfortable and characterful and that you made the most of the grounds at Orroland as well as exploring the coastal area around us. I really hope you got to see the migratory birds on the move and I'm pleased you made the most of those amazingly clear dark sky nights in which the stars were so brilliant ... Orroland, centre of the universe?! What a great find. Lovely house in a wonderful location with your own games room. The cottage was spacious and warm and had lovely gardens and a sitting area with table and chairs outside. Arrived to find fresh flowers in the lounge and cake and drinks waiting for us in the kitchen. Lovely sitting area by the bay window in the lounge with table and chairs to sit and read or play some board games. So peaceful, just a great place to have a holiday. Lots to explore on the estate with plenty of wildlife to see and a great rocky beach which gave us hours of enjoyment. Cheryl was great, giving us information on places to eat out and places to go walking. We will definitely be back but next time for longer. 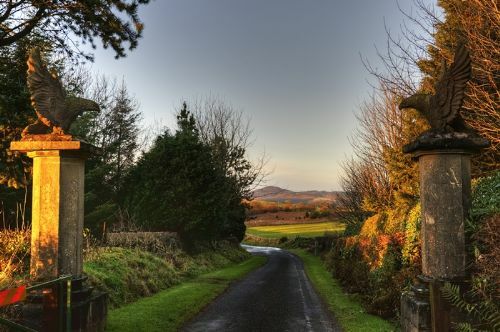 Thank you for your excellent review of your stay at Abbotsway Cottage; I'm so pleased that Orroland was the perfect spot for your return to Dumfries and Galloway. I am thrilled that the house met your expectations and that you thought it has such a good layout for 5 adults. It was great to hear that you were able to meet up with old friends and visit local places that you used to love. Thank you for the information on the David Coulthard museum, I'll pass this recommendation on. It was lovely to meet you and I hope you are able to stay with us again ... a warm welcome awaits. Our third year staying at Orroland having stayed previously at Cutlars Lodge and Abbotsway. The estate is fantastic with its private road and private access to the beach. Thank you for your fabulous feedback; we're so pleased you had a lovely time exploring Orroland and the local area and that Abbotsway suited you well. It's a great layout for accommodating 3 generations. So good to hear that you're feeling properly rested and refreshed. 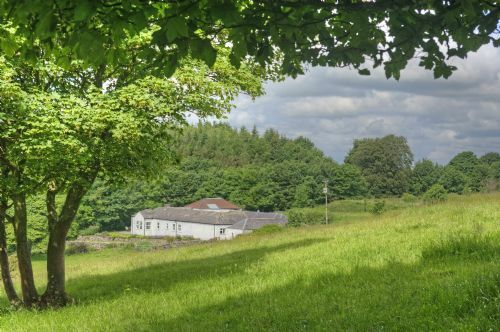 Orroland gets 5 stars for 1) Excellent cleanliness 2) Beautiful remote location with very well planned grounds within the estate 3) Warm and welcoming, both property and owners! 4) Fantastic for the 3 Chow Chow dogs 5) A wonderful base location if you wish to travel 6) Attention to detail is first class - carefully selected eye catching flowers and a very special delicious chocolate cake. We will never stay in a luxury hotel / guest house again, we are totally smitten and we are also very fussy so these accolades are based upon true experiences and honesty. Thank you so much Orroland people, you are truly wonderful!!!! Dear Carole Ann, Thank you so much for giving us this lovely review of your stay at Abbotsway. I'm so happy you found Orroland such an ideal base for your holiday. It was great to have you and your beautiful dogs at Orroland and thank you for booking again for next year. Cottage is in an excellent location. We are a family of keen cyclists and find the roads round here quiet and suitable for our 8 and 10 year old. This cottage, being the highest up of the three on the estate is easiest for getting out (the others would begin every ride with a very steep start!). Plenty to do in the local area if you like outdoor pursuits or simply going to the beach - but not for those wanting the city lights. Hosts are very welcoming and cottage well equipped with lots of space to spread out. The property was snugly warm and very well equipped. The owners were welcoming and on hand for a problem, not that we had any. A bonus is that the sun shone every day. There is not much to say about Abbotsway Cottage because it was perfect for us and we could not find anything to be improved. Spacious kitchen and living room with fresh flowers and log fire. 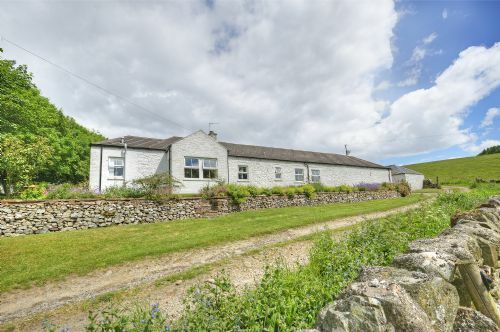 Very quiet location with pheasants and cows looking through your windows. Stunning rocky beaches close by. Perfect for a relaxed stay with all modern comfort. Small fenced court to let the dogs out. Perfect for dog owners and for families with kids. WiFi is excellent but no mobile phone access available. We enjoyed our stay very much and do highly recommend this place! Owners and people of the local pub at Auchencairn are also giving a warm and friendly welcome to guests and dogs. The cleanness there is highly improveable. We enjoyed one evening there. Food there is OK but not worth to be mentioned. Still we'd recommend going there because of the friendlyness of the local people. The best food experience we have ever made in UK was at Balcary Country House Hotel which is just a 10 minutes drive from Orroland. They are offering a five star kitchen on highest level. This place is worth to be visited if you like places with excellent food served with creativity in a relaxed but elegant atmosphere. Dress code is 'smart casual' (without Jeans) and men are mostly wearing ties. Most of the guests there are residents and over 50. The bar offers a huge selection of Scottish single malts. The staff is very friendly just the wine glasses (for the red) could have been bigger and of better quality. Menue changes every day. Nice views to Balcary bay and a stunning sunset. Booking highly reccommendet. Circutbright is a very nice and clean town, with nice little shops, not to far away and worth to be visited. We'd also recommend visiting the ruins of Dundrennan Abbey and the local beaches. Thank you for taking the time to share your thoughts about Abbotsway. We're so pleased you found it welcoming, comfortable and spacious. Many of our guests are families with children and/or dog owners so having an enclosed space providing safe freedom is very important. Great that you have shared tips about places you went and nearby restaurants/pubs.